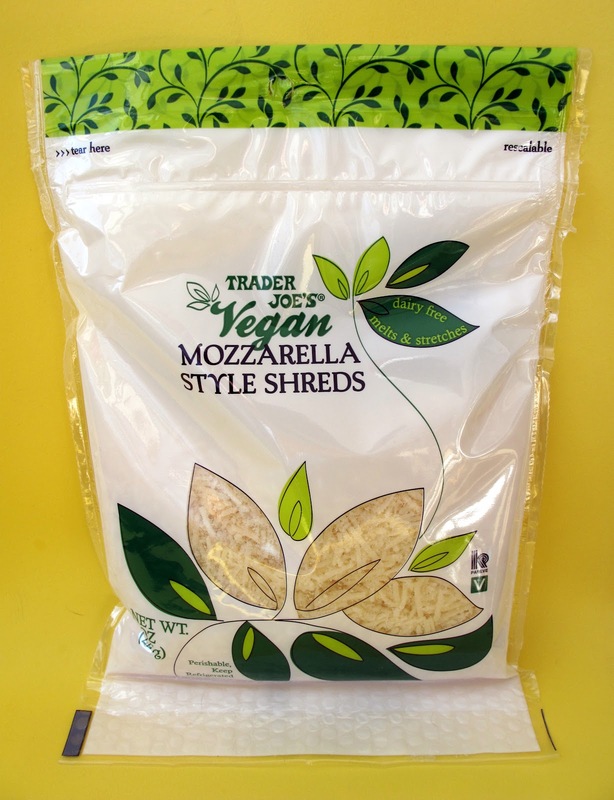 Trader Joe's has a new Vegan cheese and it's not Daiya! Trader Joes's Vegan Mozzarella Style Shreds are basically Galaxy Vegan Mozzarella Style Shreds, which I've never had before. Since it's Mozzarella, I thought I would put it to the true test and try it on a pizza. Lazy pizza anyone??? I keep my pizzas pretty simple. First, I procured some Whole Foods pre-made dough and marinara sauce. Both are super tasty and obviously very easy to work with. 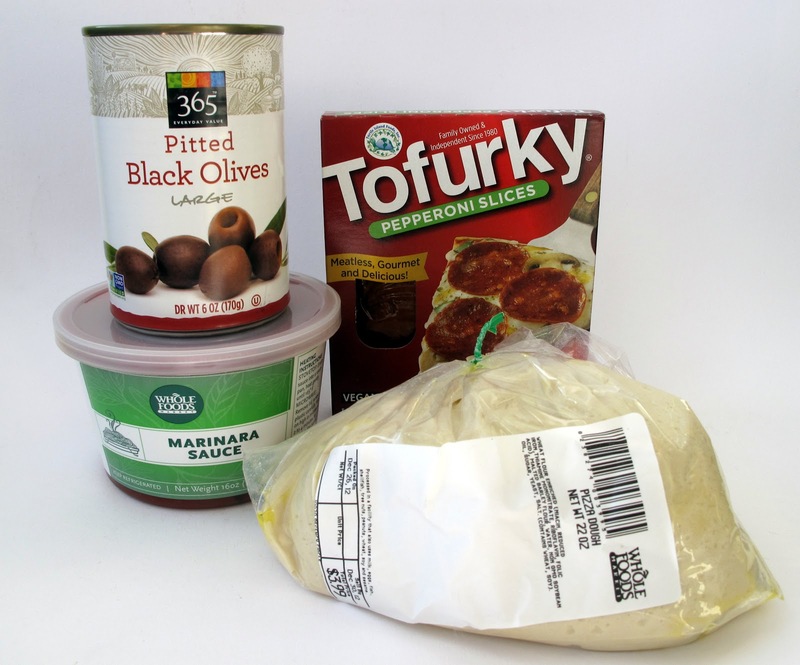 For toppings, I grabbed Tofurky Pepperoni Slices and some black olives. The Tofurky Pepperoni Slices are great if you miss that old pepperoni flavor. 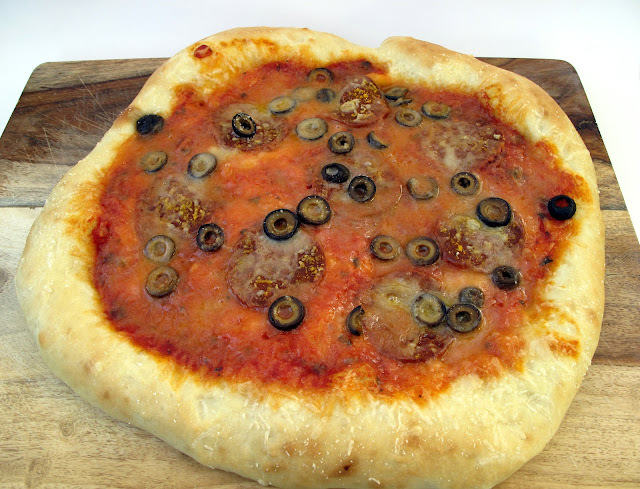 I normally would do green pepper with the olives but I totally forgot. Now let's see how the cheese and pizza turned out! The Trader Joe's Mozzarella was really interesting. 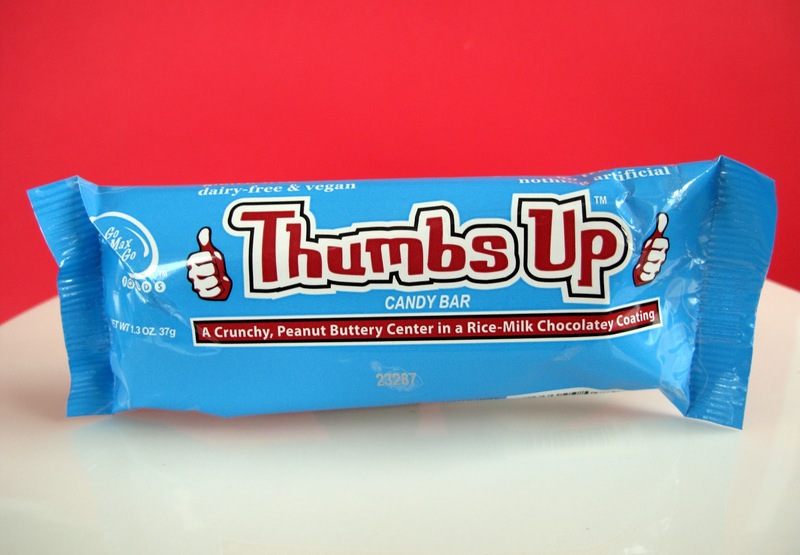 If you eat it raw, it honestly doesn't taste very good. But when I melted it all over the pizza, I found it to be quite good! When it melts (and it does melt), the mozzarella gets a bit gloopy almost like a glaze. It's definitely a different beast than Daiya. So if love Daiya and think it has no faults whatsoever, this probably isn't the cheese for you. I like Daiya too, but I find it to be too rich in large quantities, the flavor taking over whatever you put it on. It's just nice to have another option out there. This cheese is pretty mild and didn't overwhelm the other flavors. The pizza itself was great and I really love those Tofurky Pepperonis. In closing, I'm always happy to see new Vegan products, especially cheese. I thought the Trader Joe's Mozzarella tasted great when melted and had a nice neutral flavor. It is almost an anti-Daiya cheese, which I feel the world needs. 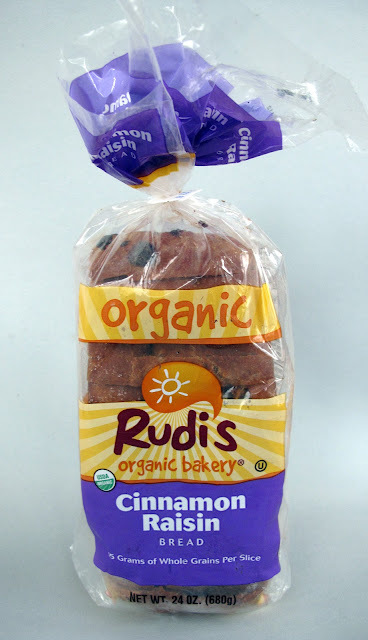 I picked up a loaf of Rudi's Organic Cinnamon Raisin Bread to check the ingredients, fully expecting it to have dairy. It's true that Rudi's is very Vegan friendly and they even label it as such, but I seriously had my doubts. Well, I was excited to be wrong and thus the loaf went right from my hand straight to the grocery cart. 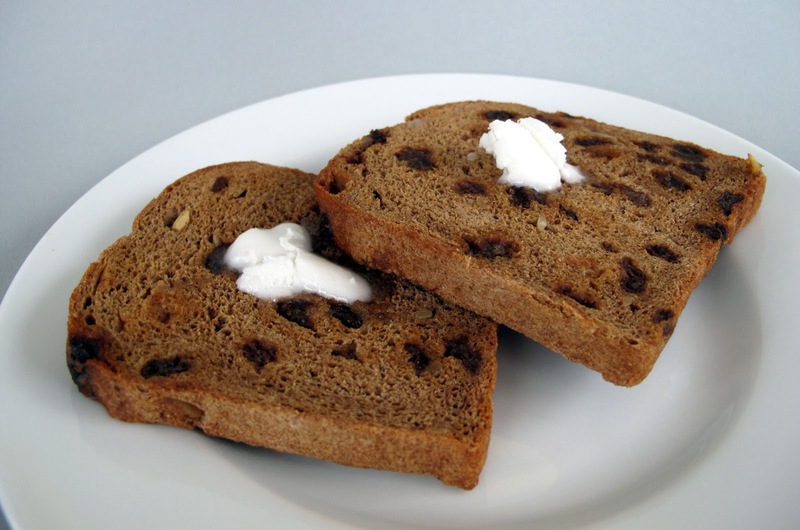 When was the last time you saw Vegan Cinnamon Raisin Bread at the store? Um, never! I'm not sure how you eat your Cinnamon Raisin Bread, but mine goes in the toaster. Lightly toasted with some Earth Balance Coconut Spread. Delicious! Just the right amount of cinnamon and raisins make this the perfect sweet snack. And I can't emphasize enough how much the Coconut Spread enhances the experience. If I were you, I'd leave the loaf in the freezer to keep it fresh, and just take out and toast what you need. Shout out to Rudi's for make some amazing Vegan bread that fills a void! 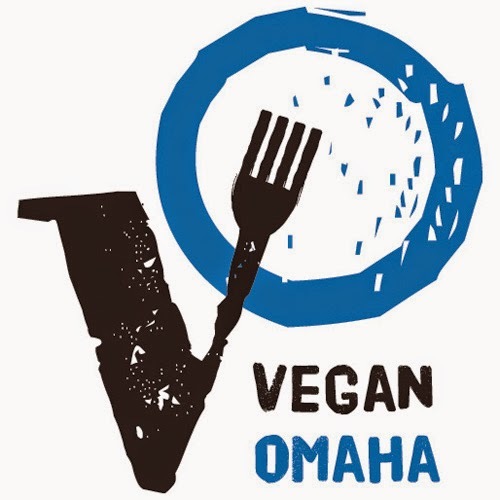 Vegan Cuts is a Vegan deal site that sells a wide array of products. 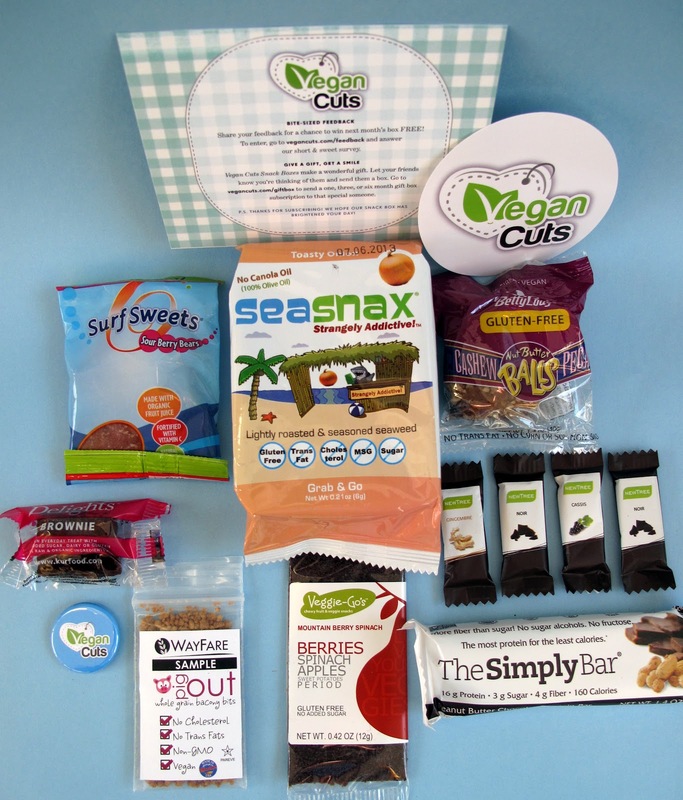 One of their new programs is the Vegan Cuts Snack Box. 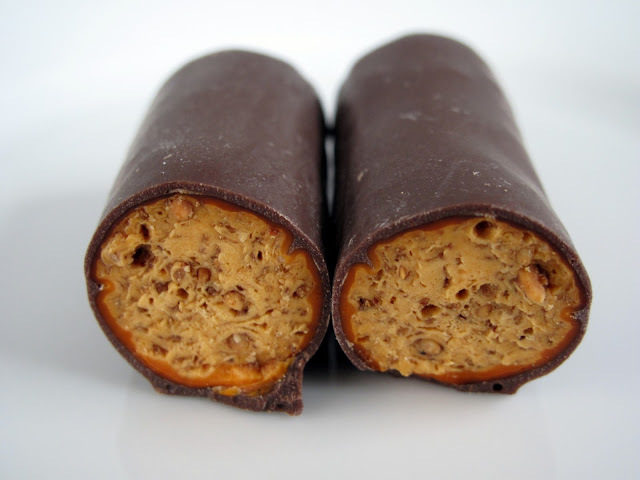 Every month for $19, you get 5 to 8 Vegan products that can range from edibles to household products. As you can see, I recieved a wide variety of food stuffs that varied from candy to savory treats (plus I got a mini laundry detergent, but I didn't put it in the picture because you'll blame me when you accidentally eat it.) 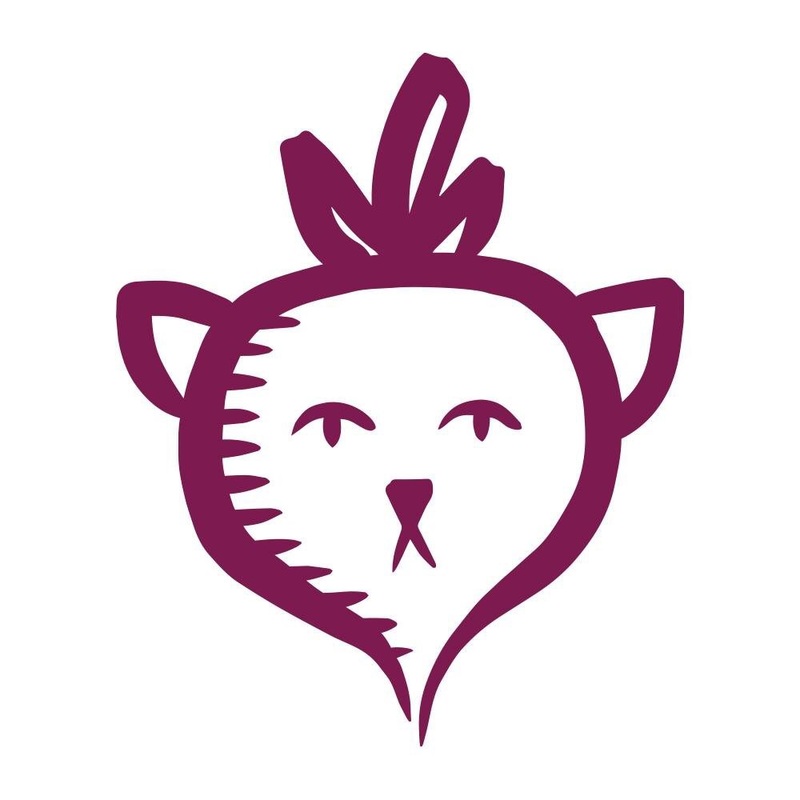 A couple of the items I've eaten before, like Surf Sweets Sour Berry Bears, Wayfare Pig Out and The Simple Bar. 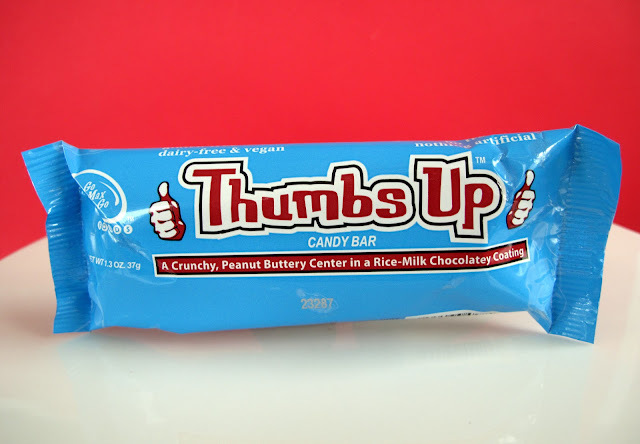 New to me were Seasnax, Betty Lou's Cashew Pecan Nut Butter Balls, Delights Brownie, Veggie-Go's Mountain Berry Spinach Bar and New Tree Chocolates. The appeal is that for $19, you can get a bunch of Vegan products you've never tried before delivered right to your door. Now is it $19 worth of products? It's debatable, but you have to remember the cost of shipping, too. In my eyes you are paying for the convenience of having new products sent to you every month like clockwork. I think folks who don't live near a Whole Foods or people in the middle of nowhere will get the most out of this program. So, overall I'm pretty pleased with the Vegan Cuts Snack Box. As long as they introduce new products every month, I think the premium price is more than worth it.